ESPN Magazine contacted one of our sister companies, a printer of temporary tattoos, and asked if we could design a tattoo for one of their articles. 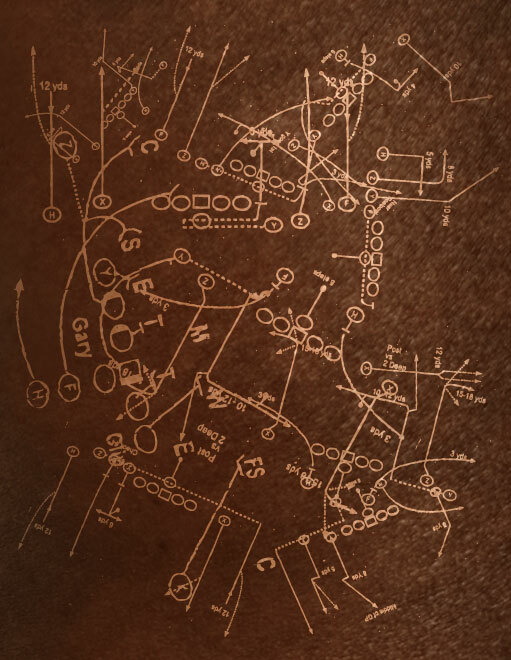 They asked for an 8″x10″ white tattoo made up of all sorts of NFL plays to put on a players arm for an article about them. Which player? I’d love to know, and an 8″x10″ tattoo would pretty much wrap my bicep. I suppose that means it could have been any player in the NFL [wah wah wah]. In the end, they must have gone with another idea, though it would have made a great photo. I went through a half dozen versions to end up with this one that was approved, but never was used.